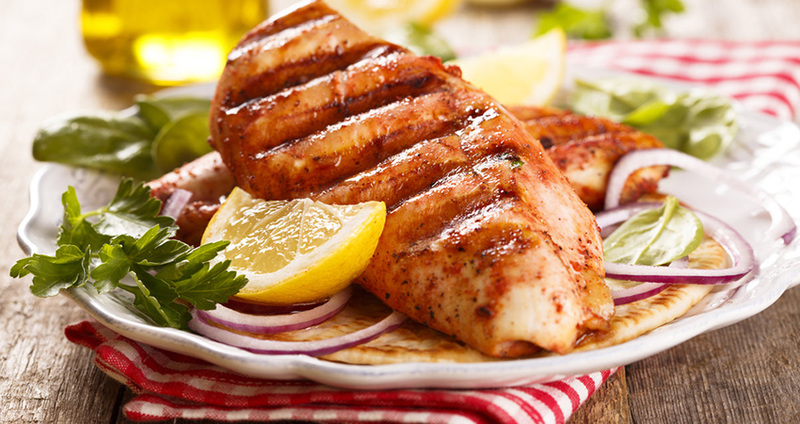 Baked boneless chicken is a go-to ingredient for a healthy and delicious meal. 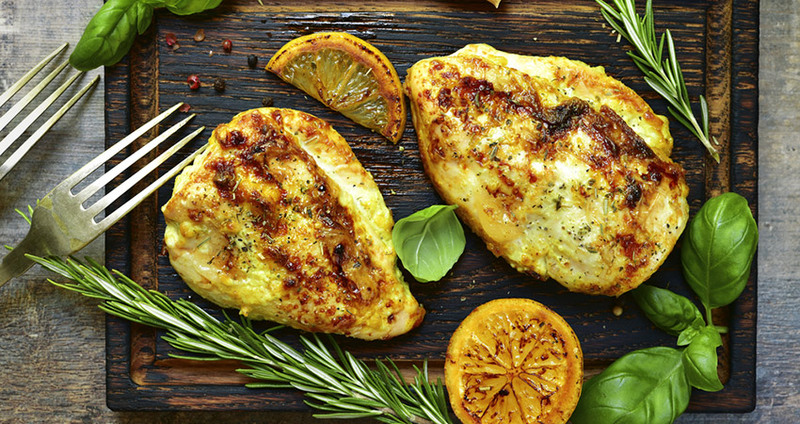 Look to this list when you need baked boneless chicken recipes that are light on calories and heavy on flavour. Whether sweet, spicy, or infused with herbs, these baked chicken recipes will have you going back for seconds. 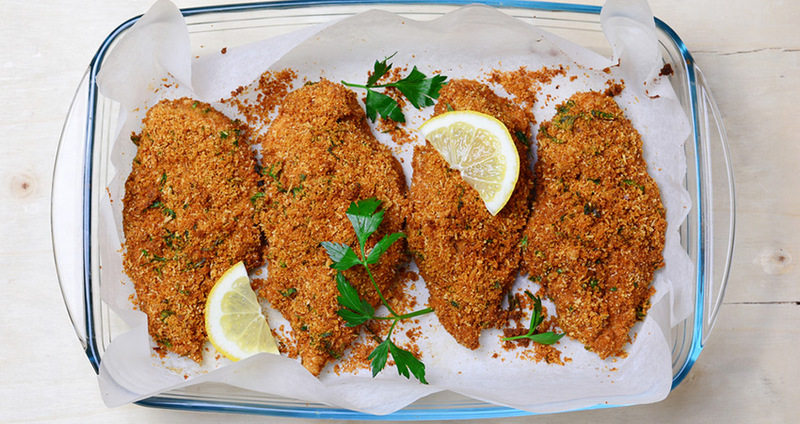 Here’s a recipe that combines hummus, olive oil, lemons and paprika for a chicken coating unlike any other you’ve tried. Vegetables add a healthy complement to an already light dish. Forget the side salad – this chicken recipe cooks right alongside seasoned romaine. If you’re looking for a cheesy, crispy, boneless chicken dish, we’ve got you covered. 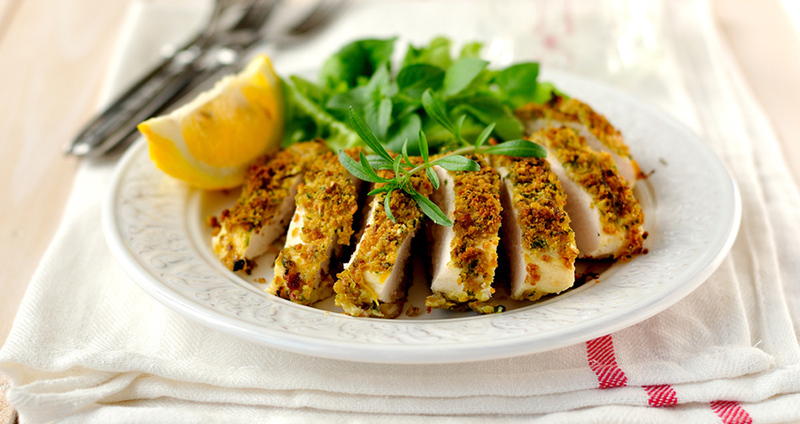 Nobody wants boring chicken, so turn to this recipe if you’re craving a bold flavor. Marinating is a simple way to enhance flavour, but be sure not to soak the meat in liquids for too long, or you’ll end up with a stringy, tough texture. Equal parts fancy and easy to make, you can whip up this recipe in no time for a meal that’s special enough for a holiday or another important occasion. Try it when you need a break from purely savoury recipes and are looking for something sweet and unusual. 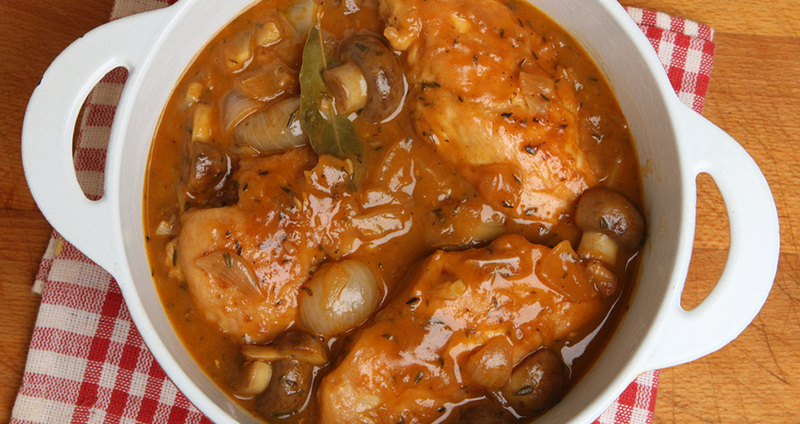 Also known as Hunter’s Chicken, this French country meal chicken, mushrooms and wine for a savory feast. Find the recipe here. The name of this recipe is a mouthful, but the recipe itself is a treat. Serve this with a side of rice and watch even the pickiest eaters fall in love. Chicken marinated in coconut milk and Thai red curry paste make for an Asian dish that’s sure to wow. With only 35 minutes of hands-on preparation time, this recipe is a breeze to make. Add some Midwestern flair to your meal by creating a casserole that combines the crunch of quinoa with the creaminess of Gruyere cheese. This recipe provides shows you how. Here’s a dish that works either as a main course or an appetizer. Line your baking sheet with tin foil or parchment paper to make cleanup even easier. Here’s the recipe. The squash in this recipe gives the chicken a healthy base to work from. By using squash instead of pasta, you’ll be consuming fewer carbs as well. 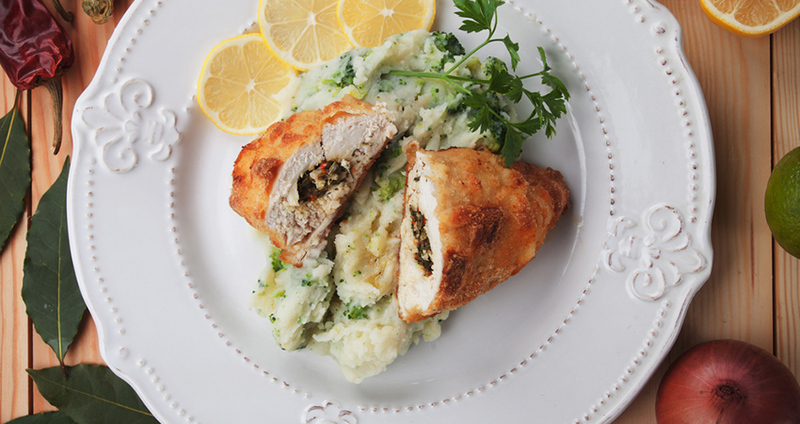 The herb seasoning in this recipe is a savory delight. This is a simple dish for those days when you don’t feel like putting a lot of effort into your preparation. Of all the recipes on this list, this one is probably the heartiest – it’s stuffed with a butter and green onion mixture, breaded and fried before it is baked. It may not be for every day, but it’s still a classic recipe – and we can all use a little indulgence in our lives every now and then. The cream and cheese make this recipe a more decadent meal, but the broccoli and tomatoes provide a healthy balance. If you’re looking for a more exotic recipe that your children will like, this could be your ticket. The sauce in this recipe is sweet and tangy. 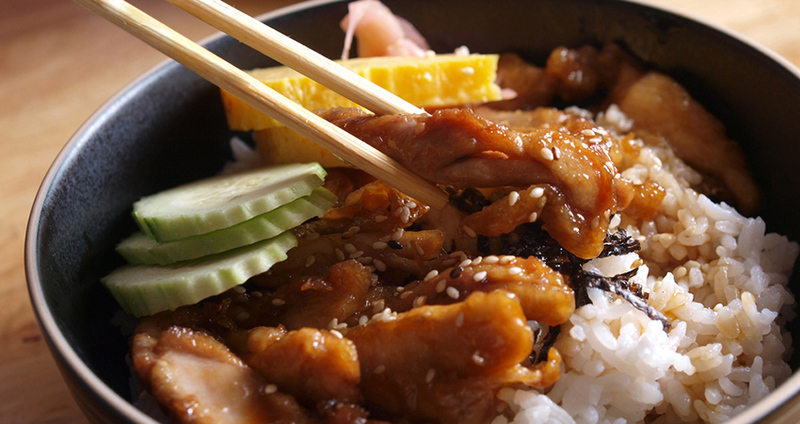 Make this simple dish and serve it with rice for a quick, delicious meal. Give traditional fried chicken a healthy makeover with this lighter recipe. Juicy on the inside and crispy on the outside, you’ll swear this chicken was fried when you taste it. 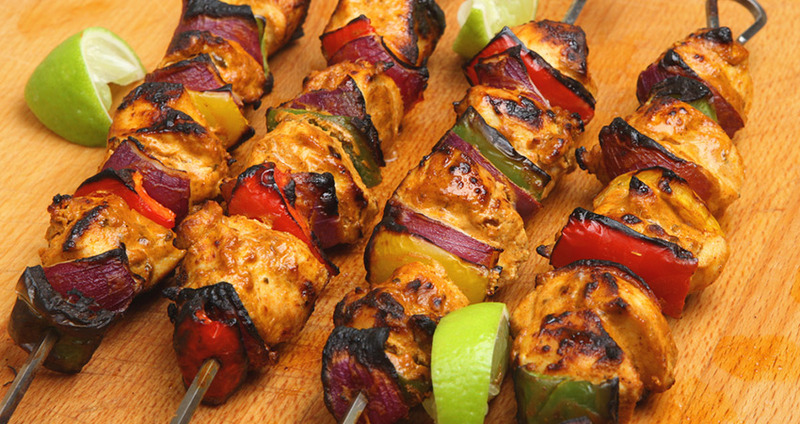 Here’s a recipe that works well if you’re on either a South Beach or Weight Watchers diet. It bakes in less than an hour and is filled with delicious southwestern flavors. Want a spicy kick? Try this recipe that combines baked chicken with a spicy siracha sauce.